OMAHA, Neb. 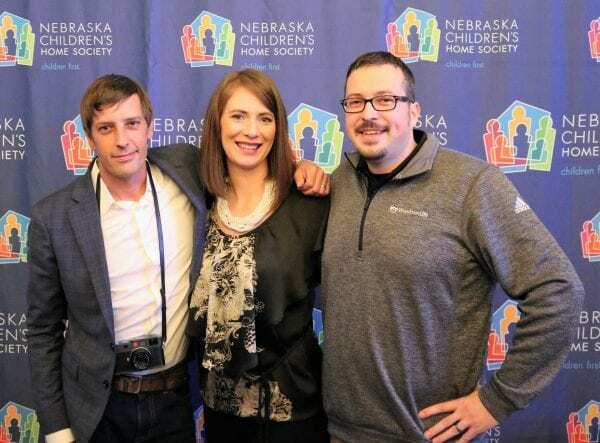 – On October 11, 2018, Nebraska Children’s Home Society raised more than $15,000 through Homegrown, a volunteer-run event, held on its behalf. This year’s event featured a photography exhibit donated by Chris Holtmeier of Foton-Foto honoring the families served by the organization. Bill Harvat, owner of Harvat Productions, produced and donated video testimonials of the same families to bring their stories to life. 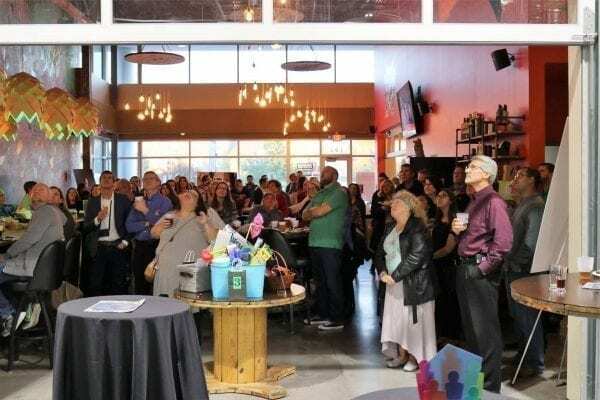 Over 125 people gathered at Kros Strain Brewing to see the exhibit and donate to NCHS. The event’s presenting sponsor was PenFed Credit Union’s Papillion Branch. Premier sponsors included Zig Drywall, Gavilon and Kiewit Construction. Chris Holtmeier, owner of Foton-Foto, stand with Tiffany and Bill Harvat, owner of Harvat productions. The event’s photo exhibit was donated by Foton-Foto. Video testimonials were created of the families by Harvat Productions. Homegrown guests watch testimonials of families served by Nebraska Children’s Home Society at Kros Strain Brewing.